Our Clearlight Sanctuary® 3 Sauna is unlike any other sauna. It uses modern design and contemporary innovation and is the only true Full Spectrum infrared saunas available offering advanced near, mid and far infrared technologies. The robust True Wave Full Spectrum heating system provides all wavelengths 100% of the time to optimize your sauna session. The state of the art digital sauna control works in concert with our sleek tablet/smartphone app to gives you the ability to control your sauna remotely. 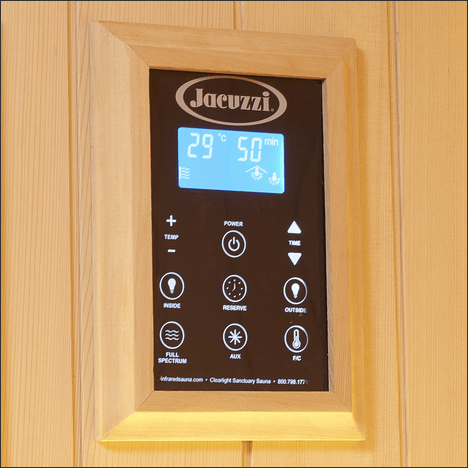 What differentiates our Jacuzzi® infrared saunas from all others? It is the superior craftsmanship and True Wave™ heating technology that gives you full spectrum infrared throughout your entire sauna session! 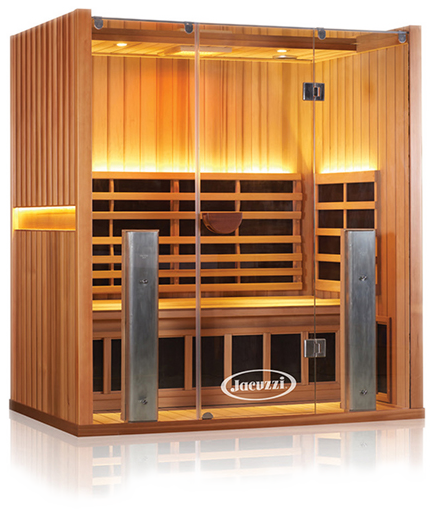 Our Clearlight Sanctuary® sauna is made with the highest quality Eco-certified grade “A” cedar wood or basswood. This unbeatable combination makes the Clearlight Sanctuary® sauna the sauna of choice. Our sauna includes beautiful glass front design with glass skylight roof, recessed accent lights for mood and reading, digital keypad, Medical Grade Chromotherapy, Bluetooth and AUX audio and optional iOS and Android Smartphone control. We include a doctor designed, built-in, ergonomic backrest and reversible ergonomic/flat bench. The built-in ergonomic backrest provides ultimate comfort. The bench is reversible so you can choose either the ergonomic or flat side. 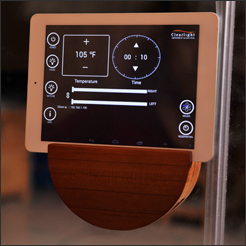 Control your sauna experience with the Clearlight® Connect App on your iOS or Android Smartphone. The door handle design is also a smartphone holder so you can enjoy your choice of entertainment while relaxing in your sauna. You can also control your sauna experience with the built-in digital keypad. All Sanctuary Sauna uses Low EMF True Wave™ Full Spectrum heater in the front of the sauna and Low EMF True Wave™ far infrared heaters on the back wall, side wall, front wall, under the bench, next to your calves and in the floor. All of the heaters are positioned so the infrared heat is concentrated on your body. Since infrared heat travels in a straight line, any heater that goes up over your head is only heating the air. By using our high output heaters, the heat is concentrated exclusively on your body so you get the most benefit. You are surrounded by high quality infrared heat in the Sanctuary 3. When you lie on the beach and feel the warmth of the heated sand coming up through your towel, that’s infrared. When you hug a friend and feel the heat from their body, that’s infrared as well. Infrared heat is so safe and natural, it’s used in hospitals to keep the newborn babies warm. Our Sanctuary 3 also includes Medical Grade Chromotherapy lighting. With 96 LED lights, the intensity of this chromotherapy unit is unmatched. You can select an individual color or press “auto” mode and the unit will cycle through the all of the colors. 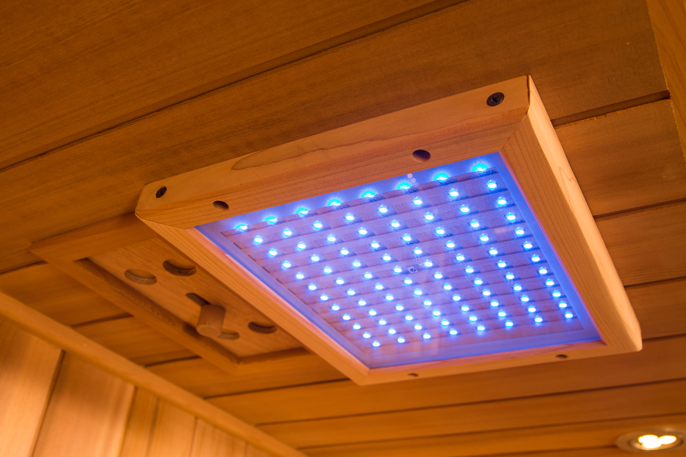 Ask your infrared sauna specialist for more information about our Medical Grade Chromotherapy. 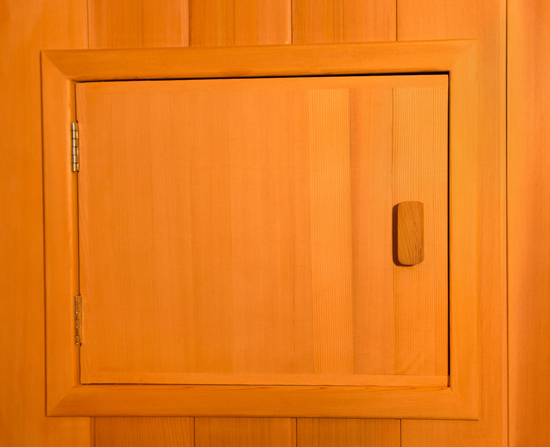 Interested in owning your own sauna? Then Click Here! Be Sure to Tell Them Directed Wellness Center Sent You!